"Buy America" with EAO » HHP Associates, Inc.
North American manufacturing helps fulfill mandated domestic content requirements. 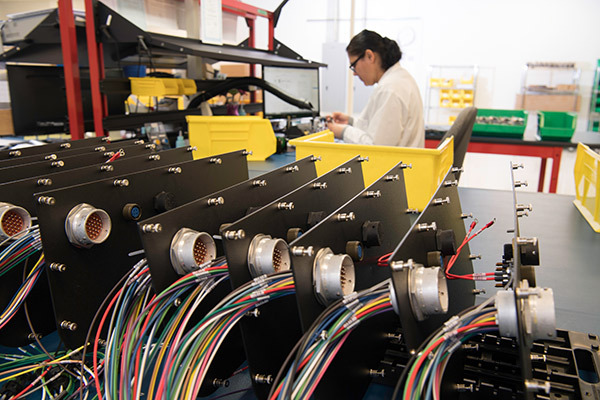 EAO provides a portfolio of local engineering and manufacturing capabilities to maximize domestic content requirements and to more effectively support its valued North American customer base. Requirements for U.S. manufactured “Buy America” content for transit rolling stock procurements are scheduled to increase from 60 percent to more than 70 percent by the year 2020 according to the U.S. Department of Transportation’s (DOT) Federal Transit Administration (FTA) 49 C.F.R. Part 661. We are honored to serve as a manufacturer’s rep for EAO Switches, one of this year’s awards honorees. EAO’s HMI components include award winning push buttons, indicators, emergency stop switches, rotary selectors, keylocks, and more.